Disclaimer: I’m a huge Hobby Lobby fan. Just needed you to know (in case you didn’t already know). 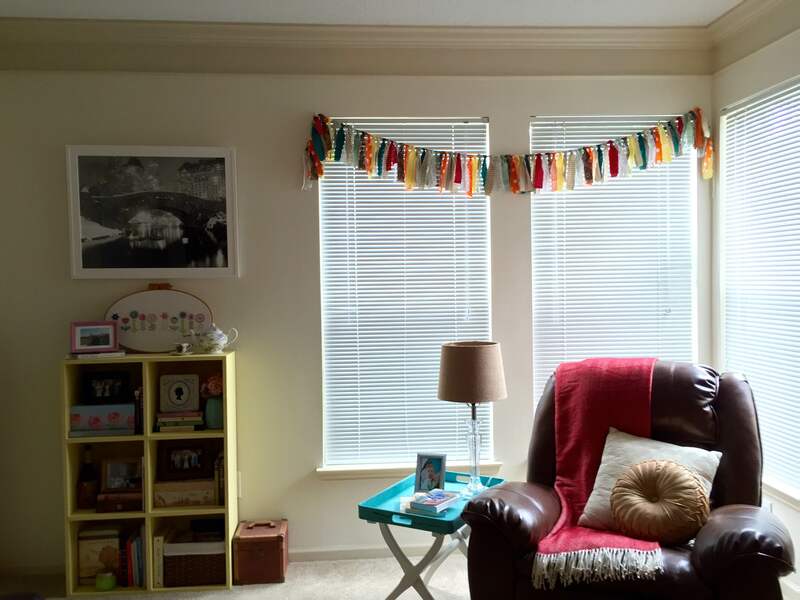 So here’s the easy tutorial on how to make this adorable garland that adds just the right amount of color to your home, classroom or celebration. I know, I know. I need to get some curtains. 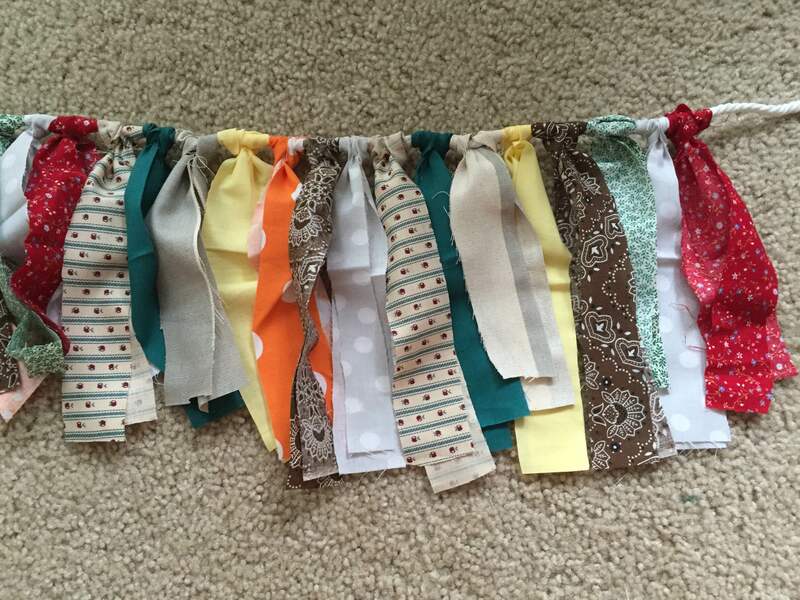 But, in the meantime, this cute fabric garland will have to do. By the way, the side table next to the recliner is a hand-me-down luggage rack and a Hobby Lobby tray that I got for 50% off a few weeks ago. You’ll need fabric, fabric scissors and rope. That’s it! 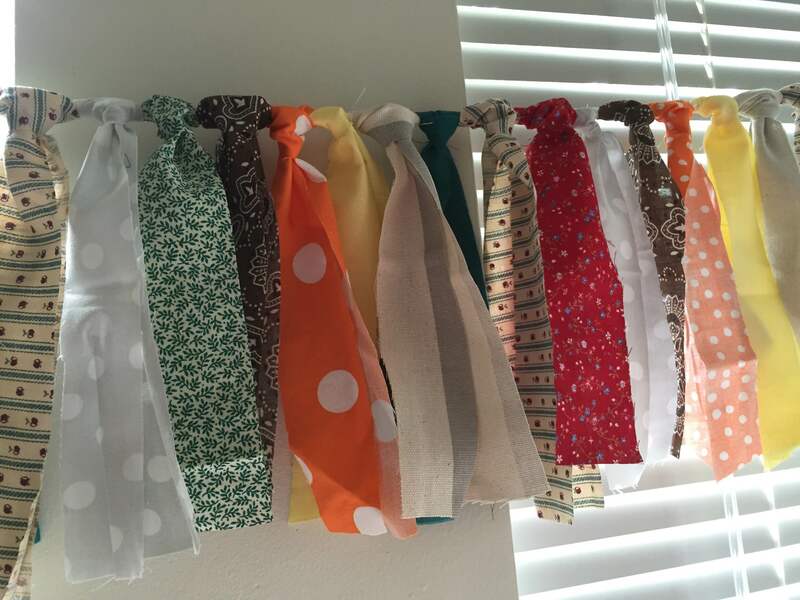 I like to choose fabric that goes along with whatever season or party I’m decorating for. This time, I chose fabric that matched the rug in our living room. 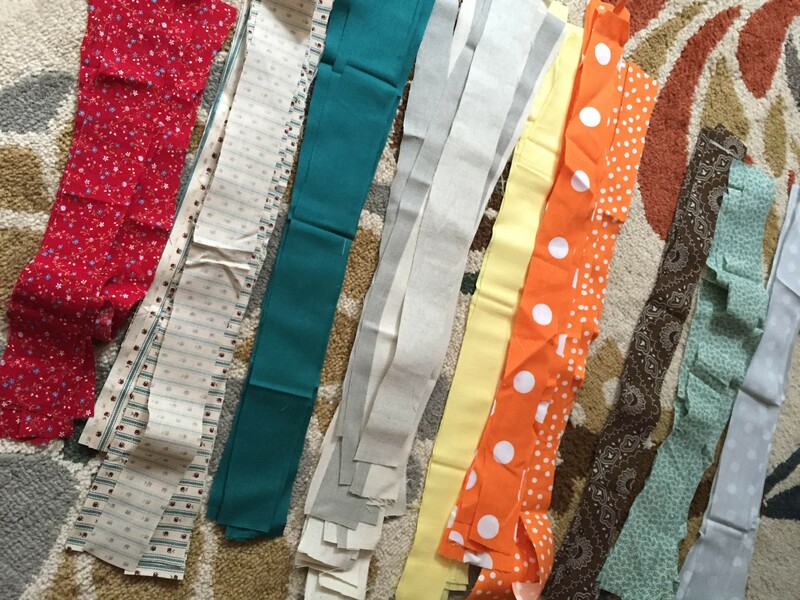 I cut the fabric into strips of equal(ish) lengths and then lay the fabric into stacks. However, sometimes I like to have the fabric in varying lengths because it adds some depth. 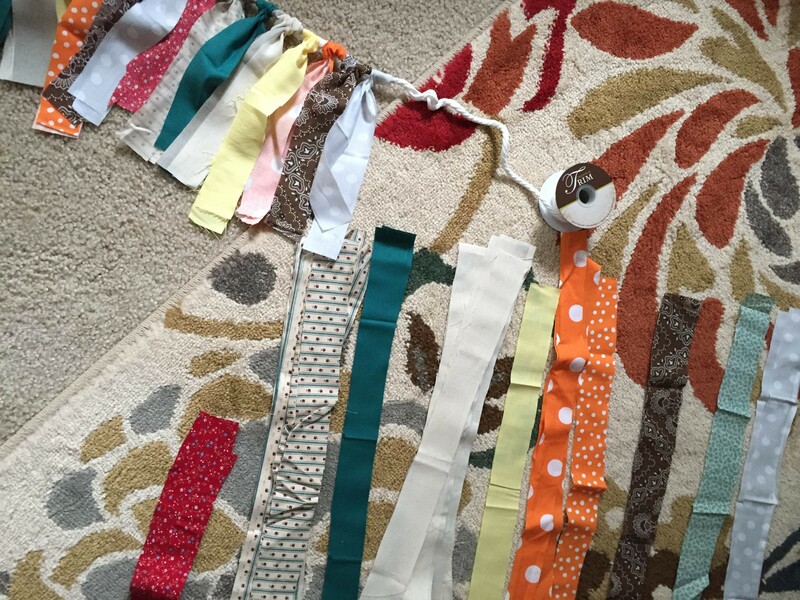 I like to sort the stacks into a pattern so it makes the tying part go faster. Usually working on this project on the floor is the best way. 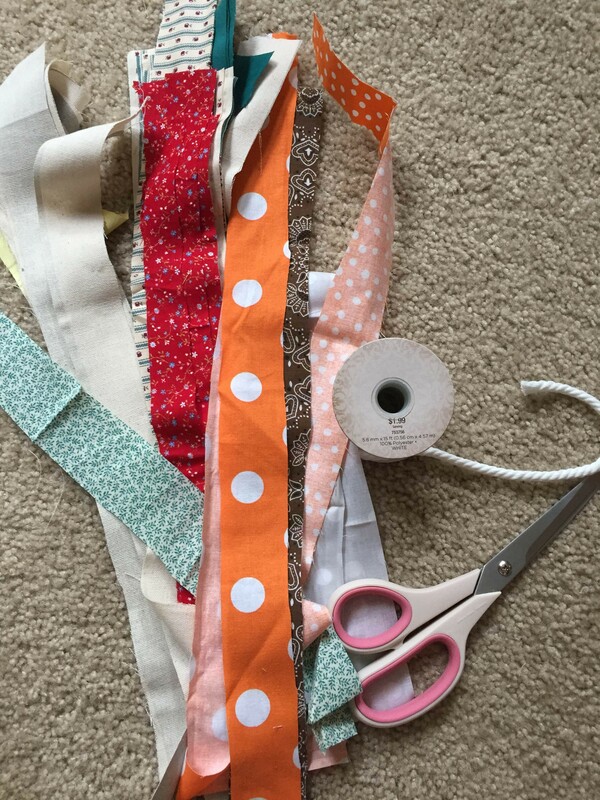 Start tying and be sure to scrunch each fabric piece close to the next. 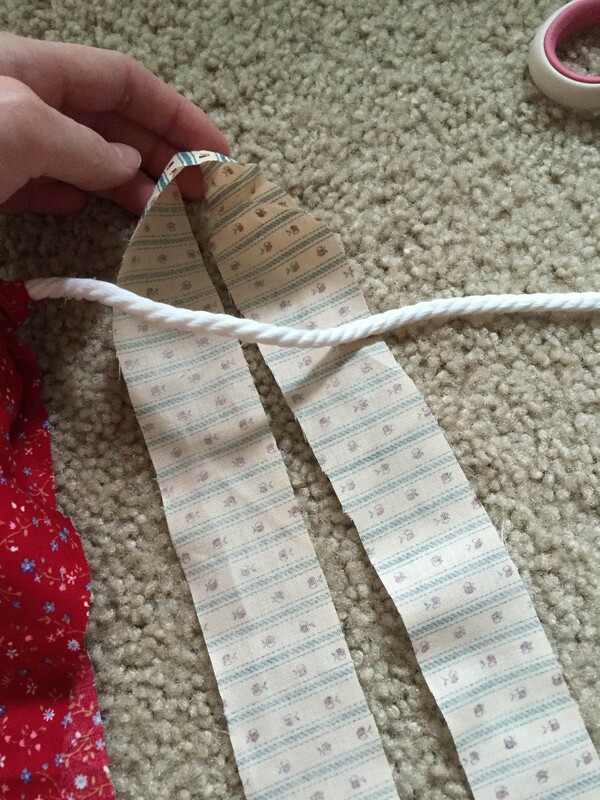 Here’s how I tie the fabric strips to the rope: first you fold the fabric in half and place it like I did in this picture. Loop the fabric around and pull it tightly. 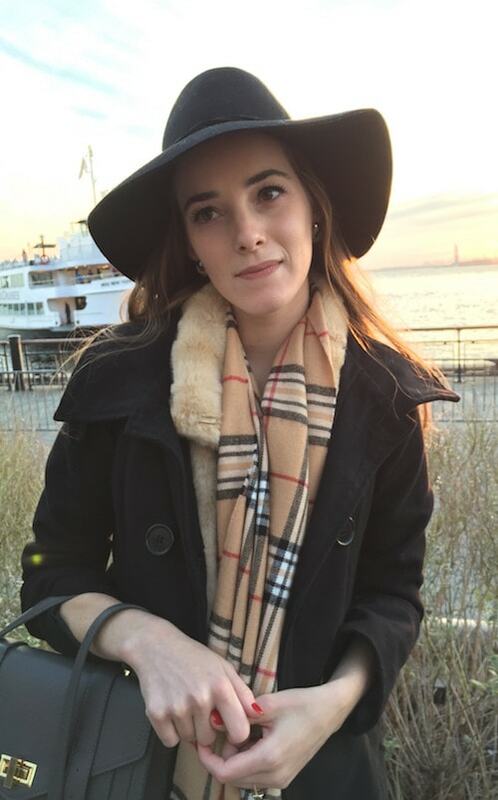 You can play around with how you do this by deciding whether you want to tie it like this or in a knot or any other way you prefer. 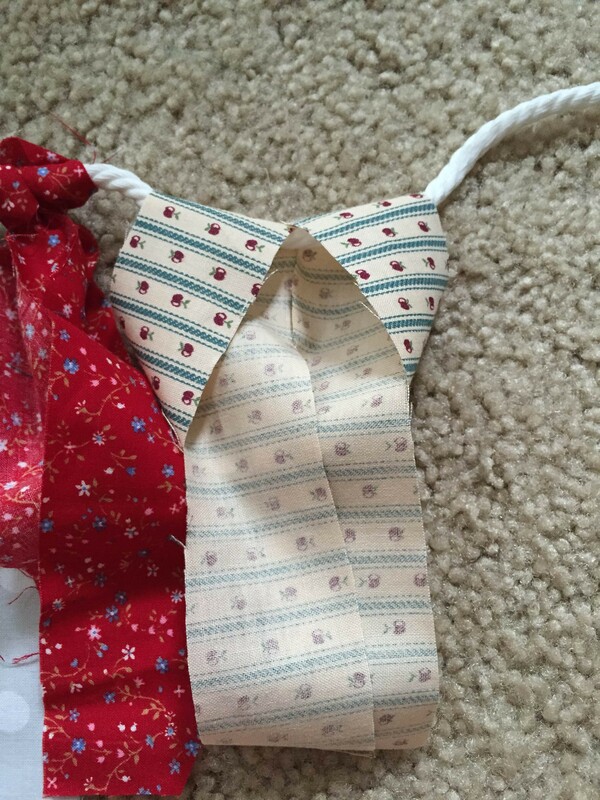 Just be sure to tie all the fabric strips the same way so it looks somewhat uniform. And here’s how it looks once they are all tied! Oh, be sure to leave a little room on either end so you can tie the garland somewhere. And here’s what it looks like when you hang it up! Happy crafting and decorating, friends! Also, if you have any leftover fabric, try making a cute fall fabric wreath and stay tuned for my tutorial on that.